This magnificent ancestral house is located at the foot of the Plains of Abraham, on the shore of the St. Lawrence River. 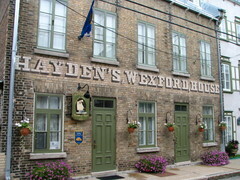 Located in the Cap Blanc district of Old Quebec, Hayden's Wexford House is classified as World Heritage by Unesco. We are very well located in a quiet place. 12/15 min. by walk to go to the Petit-Champlain Old-Québec. Check In/Check Out : between 5 and 6 pm, or call us . Cancellation : Between 7 days prior to the scheduled arrival date, 100% will be retained . From Hwy 20, follow Pont Pierre-Laporte. Before getting OFF the bridge, take the first exit to your right, Sortie 132 boulevard Champlain (and not the other option Avenue des Hôtels). Before getting ON the bridge, take the first exit to your right, Sortie 132 boulevard Champlain (and not the other option Avenue des Hôtels). Drive down boulevard Champlain for about 10 Km (the river being on your right side). 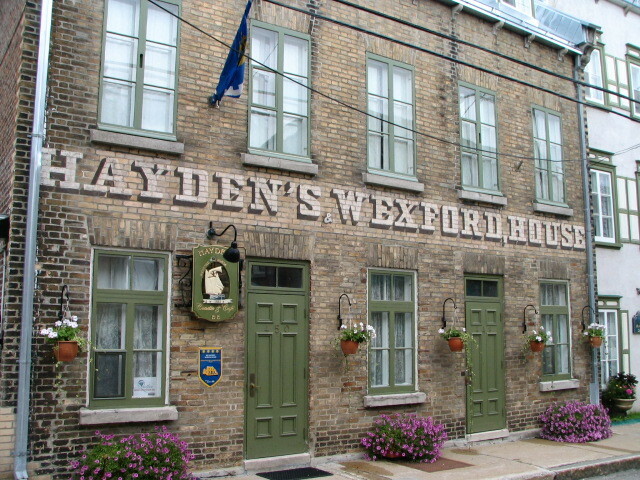 At the 9th light (there is a small shop called Accommodation Le Marinier on your left and the local church in front), turn left to take the one-way rue Champlain, along the Plains of Abraham cliffs, until No 450: The name of our inn being painted on the front, you can't miss it! !